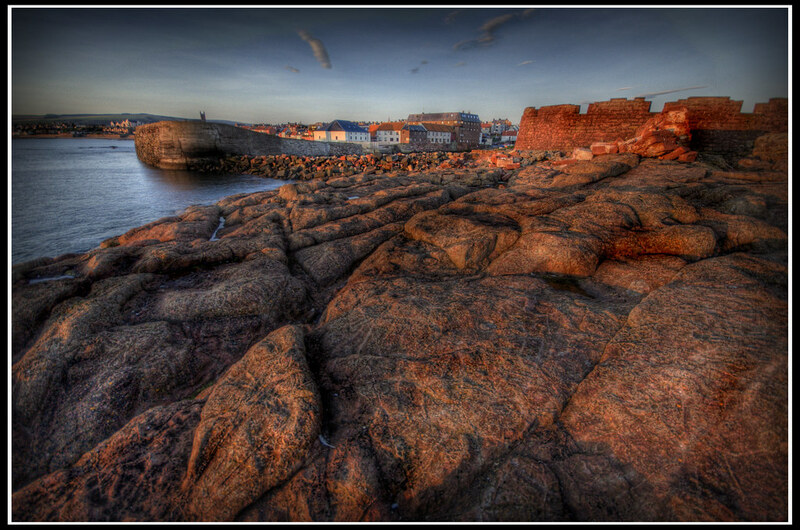 The small historic town of Dunbar lies on the southeast coast of Scotland, about 30 miles east of Edinburgh. 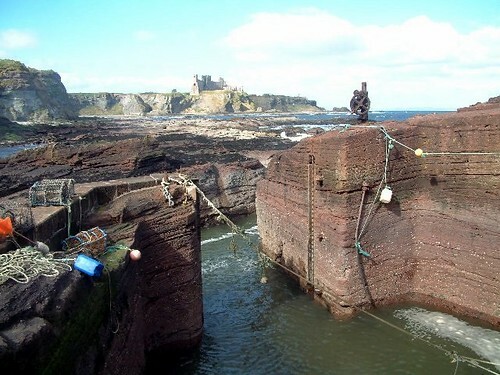 Twelve miles southeast of North Berwick, just off the main A1 from Edinburgh to the south, is the little fishing port of Dunbar. The town's main claim to fame is as the birthplace of John Muir, the explorer naturalist who founded Yellowstone National Park in the US and became known as the father of the Conservation movement. There are regular buses from Edinburgh. 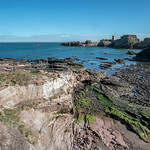 Dunbar is on the main London-Edinburgh rail line and there are regular trains to and from Edinburgh (40 mins) and south to England. The Tourist Information Centre is at 143 High St, T863353. May Mon-Sat 0900-1700; Jun and Sep Mon-Sat 0900-1700, Sun 1100-1600; Jul Mon-Sat 0900-1900, Sun 1100-1800; Aug Mon-Sat 0900-2000, Sun 1100-1800. John Muir House, 128 High Street, is his childhood home. It has been refurbished in period detail and contains a small museum dedicated to his life and work. Info:-Jun-Sep Mon-Sat 1100-1300 and 1400-1700, Sun 1400-1700. Free.Tel 860187. 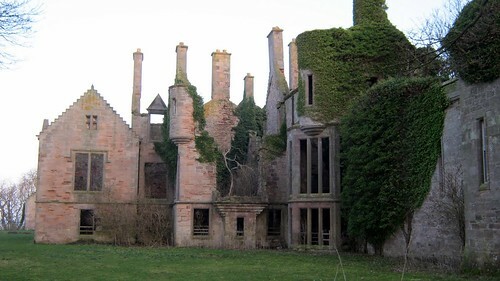 Also on the High Street is the 16th-century Town House Museum, one of the oldest of Dunbar's houses, formerly a prison and now a small local history and archaeology museum. Info: Apr-Oct daily 1230-1630. Free. Tel 863734. For the kids, there's a great indoor swimming pool, with flume. For details see Dunbar Leisure Pool. 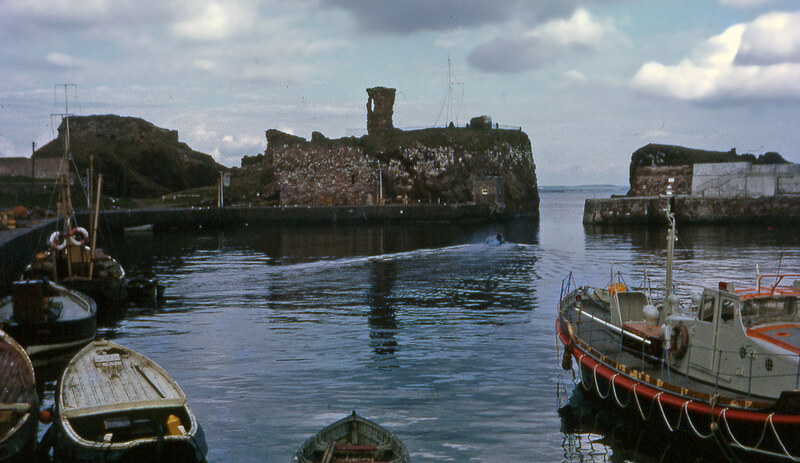 The scant remains of Dunbar Castle stand beside the old harbour. 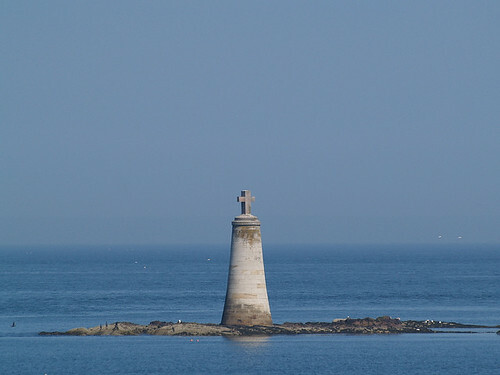 A two-mile clifftop trail leads west from the castle to John Muir Country Park, a vast area comprising the Tyne estuary and Belhaven Bay, and covering a variety of habitats which are home to numerous bird species. As well as the excellent beachcombing possibilities, there's also fishing, wave surfing and horse riding in the park. For more details contact the TIC in town, or phone, Tel 01620-827318. 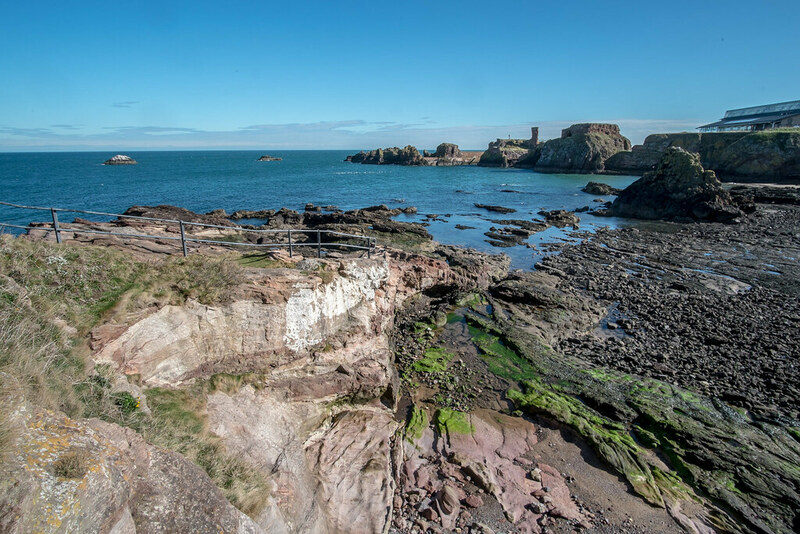 Dunbar is also well known as the home of Belhaven beers, which are still brewed on the original site (signposted off the Edinburgh road). 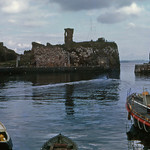 Guided tours can be arranged if you contact them in advance, Tel 864488. 1750s house with varied history largely destroyed by fire at beginning of 1905 behind Seacliff Beach. Fun to visit. 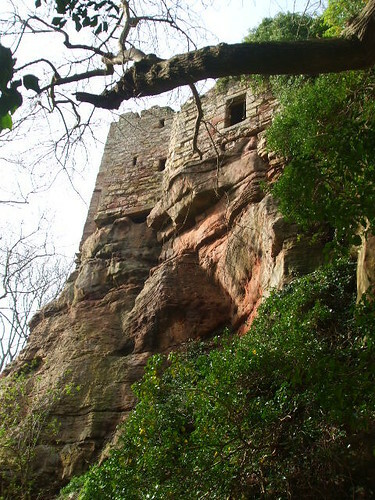 Ruined probably C16 tower house in exposed position on cliff. Walkable from east end of Seacliff beach. 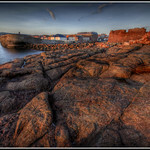 Crescent of rocks that stretch out from Seacliff Beach and whose tip is marked with large cross that recalls St Baldred. 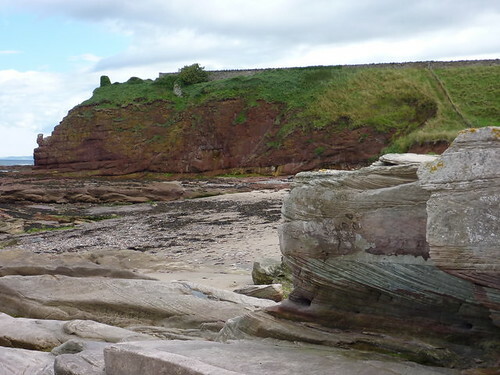 Private owned beach to east of Dunbar up coast from Tantallon. Half mile beach with tiny harbour, two castles and old house to explore. 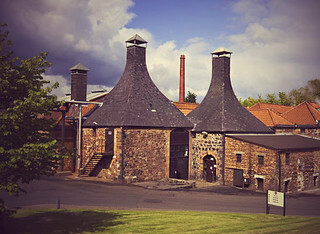 Britain's oldest brewery and open for tours (prebooked).Near Edinburgh in Dunbar. 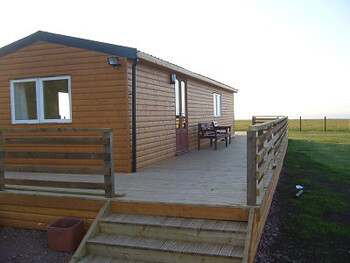 Goldenstones Hotel is a small family-run hotel in Dunbar. 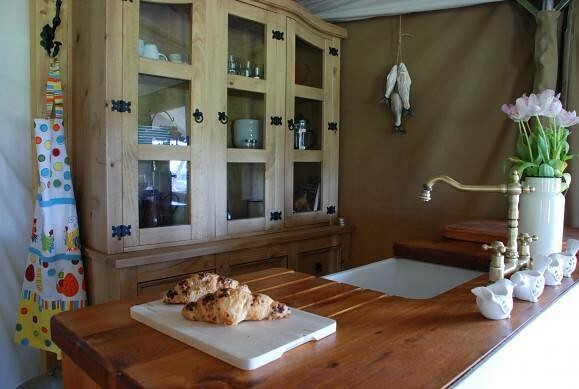 There are several guesthouses and B&Bs. 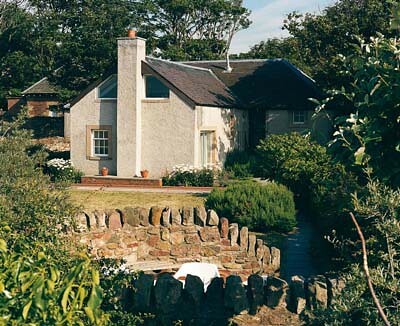 A popular choice is Muirfield House, 40 Belhaven Rd, Tel/Fax 862289. 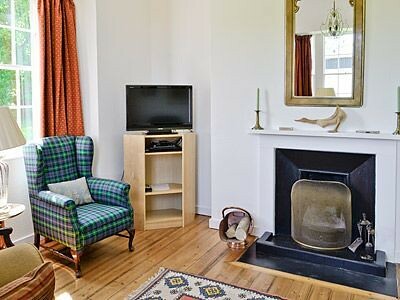 Nearby, also on Belhaven Rd is Springfield Guest House, Tel 862502. There's also the Belhaven Bay Caravan & Camping Park in John Muir Country Park, just off the A1087 to the west of town, Tel 8659568.